Patreon is a way to interact and support creators by donating on a monthly basis! Click the Banner and check it out! 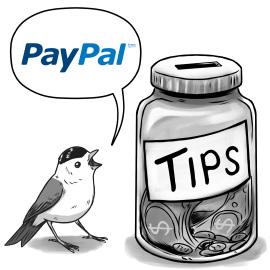 A little birdie told me – if you just want to make a one time donation– you can enter your information securely through PayPal by clicking on the Tip Jar! Another way to support us is to vote daily on Top Web Comics!